Expedia has Best travel packages waiting for you. Bundling your flights and lodgings is one of the simplest ways to save money on your upcoming adventure. Smart vacationers who book a package deal on Expedia will save as much as C$590*. You don't need to look around different websites for your travel needs. With more than 400 partner airlines and 321,000 properties around the world, our extensive database has got it all. You never have to worry about altering your travel itinerary, as we don't charge additional cancellation fees for almost all of our bookings. We have all the hot sightseeing tips for your upcoming trip to Best. Grab your travel diary and get ready to start working on your itinerary. Eager to catch a conference or other event while you're in the local area? Check the schedule at Evoluon and find something that piques your interest. There's an excellent range of things to do in and around this destination. Soap, toothpaste and a toothbrush are just some of the basics you need while on vacation. But — if you forget to bring your toiletry bag, you'll probably find what you need at Shopping Centre Ekkersrijt. Still got some time on your hands? Nothing screams vacation more than a pool. Perfect your breaststroke or just relax and have a great time playing around at De Tongelreep Swimming Paradise. While Best does have 22 accommodations to select from, it's always a wise move to reserve a room beforehand. Not sure where to begin? Expedia is here to help with your next luxury getaway or cheap vacation. It's not every week you get to spend time away, so why not spoil yourself and spend an evening in a posh room at the Little Grand (Vestdijk 17) or the Inntel Hotels Art Eindhoven (Lichttoren 22)? With exceptional service and first-rate amenities, you're bound to feel like a VIP! 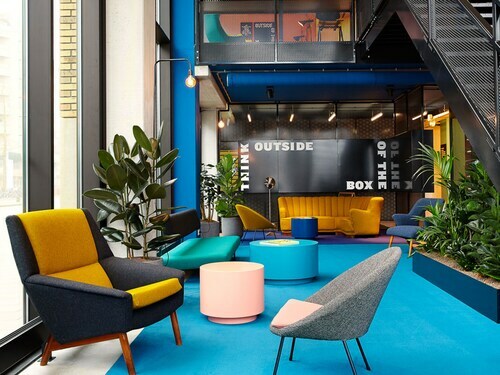 If traveling on a budget's more to your liking, you (and your wallet) might like the Blue Collar Hotel - Hostel (Klokgebouw 10), or the Hotel Benno (Wilhelminaplein 9). Positioned just 4 miles (6 km) away, Eindhoven Airport (EIN) is the most convenient terminal to your destination. Buckle your seat belt and turn off that in-flight film — your well-deserved trip to Best isn't far off now! Situated near the airport, this eco-friendly hotel is within 9 mi (15 km) of Evoluon, Philips Stadium, and High Tech Campus. Eindhoven University of Technology and DAF Museum are also within 12 mi (20 km). Situated in Best, this hotel is within 9 mi (15 km) of Shopping Centre Ekkersrijt, Philips Stadium, and Catharina Hospital. Philips Museum and Eindhoven University of Technology are also within 9 mi (15 km). Located in Eindhoven City Center, this spa hotel is within a 10-minute walk of Philips Museum and Philips Stadium. Frits Philips Music Center and Van Abbemuseum are also within 1 mi (2 km). Eindhoven Station is 8 minutes by foot and Eindhoven Strijp-S Station is 23 minutes. Located in Strijp, this eco-friendly hotel is within 6 mi (10 km) of Evoluon, Philips Stadium, and Catharina Hospital. Escaperoom Strijp-S and Philips Museum are also within 6 mi (10 km). Located in Eindhoven City Center, this hotel is within a 15-minute walk of Frits Philips Music Center and Philips Stadium. Philips Museum and Eindhoven University of Technology are also within 15 minutes. Eindhoven Station is only a 5-minute walk and Eindhoven Strijp-S Station is 30 minutes. 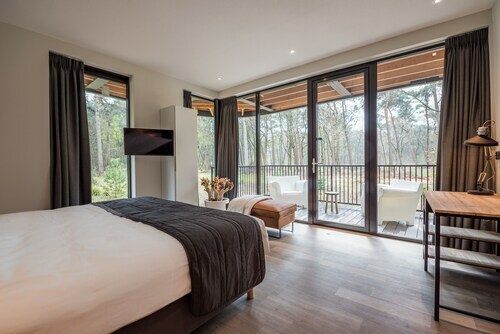 Situated in Tilburg, this eco-friendly hotel is 0.2 mi (0.3 km) from Koningshoeven and 2.6 mi (4.2 km) from Safaripark Beekse Bergen. Trappist Abbey of Our Lady of Koningshoeven and Scryption are also within 2 mi (3 km). Tilburg Station is 29 minutes by foot. 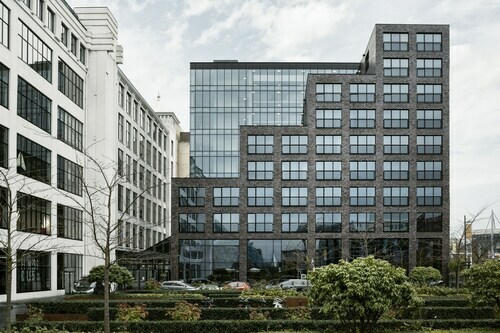 Located in Eindhoven City Center, this eco-friendly hotel is within a 10-minute walk of Frits Philips Music Center, DAF Museum, and Van Abbemuseum. Philips Stadium and Eindhoven University of Technology are also within 1 mi (2 km). Eindhoven Station is 8 minutes by foot. Located in Eindhoven City Center, this eco-friendly hotel is within 1 mi (2 km) of Van Abbemuseum and Philips Stadium. DAF Museum and Frits Philips Music Center are also within 10 minutes. Eindhoven Station is 16 minutes by foot. Wed., 14 Aug. - Sun., 8 Sep.